It is fascinating to see the trends of society come and go and come back again. In all aspects of our lives there are trends. These trends have influence on us if we blindly follow them and they have an influence on us if we choose to avoid them. Your kitchen and how you use it can say a lot about you as a person. For example: If you know someone who uses their kitchen a lot then the cleanliness of their kitchen, or lack thereof, gives you hints to how neat they are or how much they care about what people think about them and their home. Sometimes we even make intentional statements with our kitchens. While watching MTV’s “Cribs” it was always depressing to see a celebrity who was quick to explain that they never cooked but they have a mind blowing kitchen in their house with appliances that cost more than your car. What better way to express wealth than wasted space and valuable items unused. So what kinds of things do popular kitchen trends say about us now? Over the years, the kitchen has evolved more than any other room in the house. 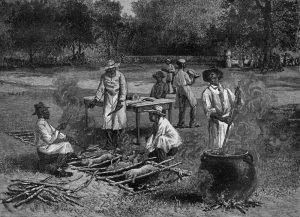 In the past a lot of cooking was done outdoors. The heat from cooking could make the house very uncomfortable. 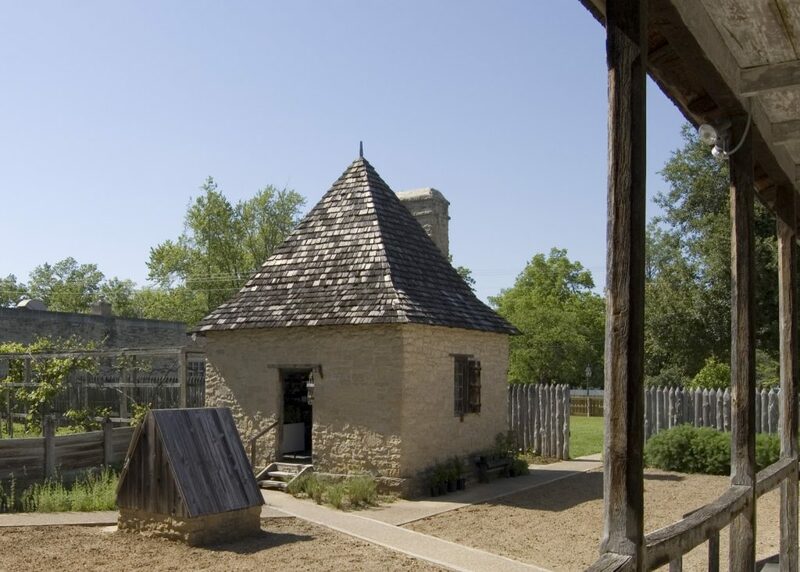 For this reason, many houses were built with detached kitchens. Other houses had basement kitchens. 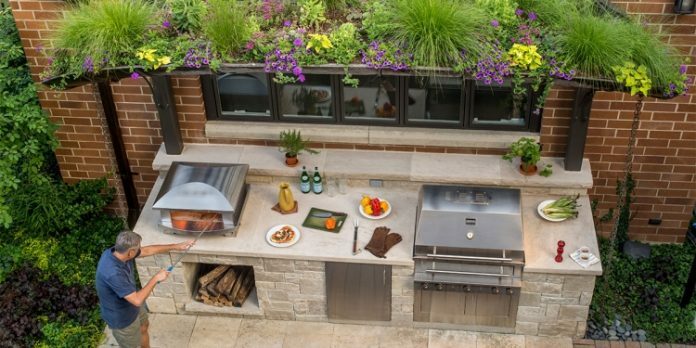 One truly fascinating kitchen trend is the emergence of the outdoor kitchen. This trend hints at all kinds of shifting and swaying within our culture. 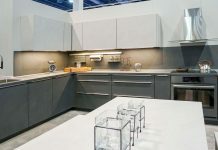 The outdoor kitchen is certainly not the only significant kitchen trend that is making waves, but it is one that deserves to be explored. Clearly, mankind has been cooking and eating outdoors for about as long as it has been cooking food. But the generally accepted dining process in western civilization has been that food would be cooked in a kitchen in the house and then eaten in a dining room. 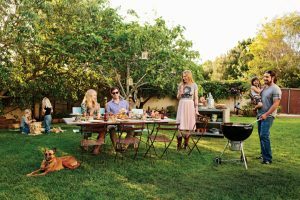 Perhaps that is one of the many reasons why people love to grill and BBQ their food outdoors; a break from the monotony and tradition. Cooking food on an open fire gives your food a unique flavor and there is a sense that you are in some way getting back to nature and back to your ancestors. These are feelings that people crave more and more in this modern world where we use technology to increase our physical isolation with each digital connection we make. Furthermore, grilling and barbecuing meat has been an important part of American culture, especially in the south. The muggy heat of the south played a large part in shaping the culture of the area. Before air conditioners, people would spend a great deal of time relaxing on their front porches as a way to escape the heat of their poorly ventilated homes. Because of this, any neighbors who walked by could see that people were home from a distance. This forced the homeowners to be hospitable and welcoming to visitors rather than ignore them and pretend that no one was home. 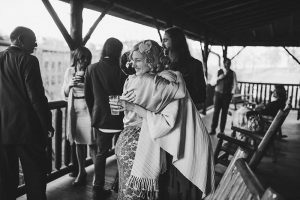 (An option more available to people in cooler climates) For this reason the weather conditions contributed to “Southern Hospitality” just like it contributed to social gatherings with big outdoor barbecues. If your house was already muggy, why heat it up even more by cooking in the house. 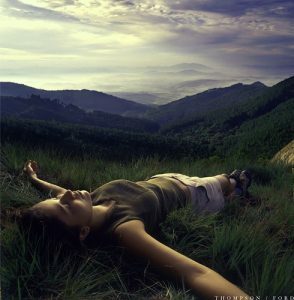 People want to relax, eat, and have a good time. Sometimes the best way to achieve these things is to cook and eat outside. Despite all the advantages and the history of cooking outside, the truly interesting part of this trend is not that people are eating or grilling outdoors, it is that they are now building grand elaborate kitchens in their backyards. Not long ago I wrote an article about kitchens becoming social spaces rather than being used for cooking and cleaning only. 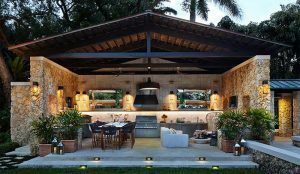 These outdoor kitchens are mixing the kitchen social space concept with the functional advantages of century old detached kitchens. To be clear, the love of grilling is nothing new. 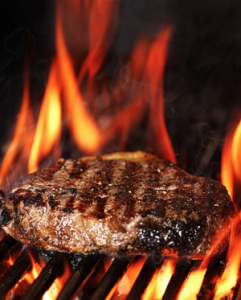 As I briefly mentioned before, the act of grilling meat has a powerful effect on people. It could be the open flame or the stars and sky above your head. It could be the taste of the food and the smoke. When you cook over an open flame you are using the direct heat that radiates off the flame to cook the food but when you cook something on a pan over the stovetop, it is actually cooking through a method called conduction. (Even if you are using gas) Could it be that somewhere deep down inside, your body understands the difference between meat that was cooked via conduction versus radiation? On one hand you have a bunch of outdoor enthusiasts who love hiking, backpacking, and camping, and then you have a sudden influx of city folk who want to go camping in their RV in campsites with WIFI, electrical outlets, hot and cold running water, showers, bathrooms, ice cream shops, etc. But it is important to focus on the positive. When I think of grilling and cooking outside, I think of meat sizzling on an old Webber charcoal grill. Or maybe making a campfire in the dirt and sitting around it making hot dogs and marshmallows. But today cooking outside is often done in the outdoor kitchen and that kind of cooking can be a little different. The grills that people are installing in their outdoor kitchen are elaborate, massive, expensive, beautiful, powerful, and even a little daunting. For example: The Lynx 36 inch Gas Grill with ProSear Infrared Burner. 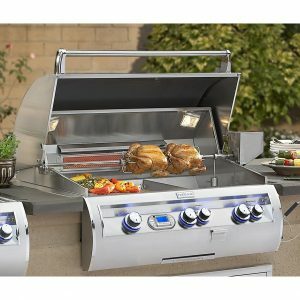 This beast of a grill has three burners with 935 square inches of grilling space! 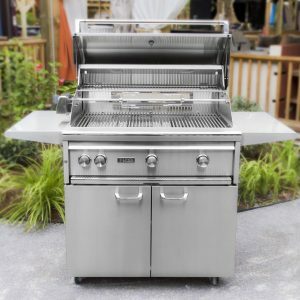 It is said that this stainless steel colossus can grill 26 burgers at once! And the Lynx is far from being alone in this category. This is the Fire Magic Echelon Diamond. (Try saying that mouthful) You will need about 5 grand to buy one though. Don’t take my tone the wrong way, I do wish I had a cool outdoor kitchen with a built in BBQ. I just wonder if it’s really worth it. Infrared grills cook food by heating ceramic tiles which then radiate infrared heat into the food. This is said to be better. I can’t help but wonder if I were to spend about $100 at a hardware store, buy a bunch of cinder blocks and clay bricks, and build a brick grill in my back yard, wouldn’t that do about the same thing for about $4800 less? Another staple of the outdoor kitchen is the smoker. Smokers are grills that cook your meat low and slow. True barbecuing would be digging a pit and burning wood down to coals and cooking the meat inside. The process takes hours because the meat cooks very slowly at relatively low temperatures. 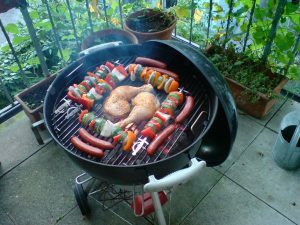 True barbecuing is also labor intensive as you have to add wood to the coals to maintain the heat. A smoker will give you a similar end result with a lot less hassle. I like to think of smokers as a happy compromise between grilling and true barbecue. For many years now one of the most popular types of smokers on the market has been the Kamado grills. These are giant ceramic egg shaped grills. They are very heavy and very expensive but the ceramic walls of the grill cook the meat so evenly that they have taken off in popularity despite their price. I was unable to find a ceramic Kamado grill for less than $700. If you want the egg smoker integrated into your outdoor kitchen you will probably be spending over $1000. My roommates and I decided to pitch in and buy a $400 propane smoker for $150; and it had only been used once. We have smoked a lot of meat with this affordable smoker and I can say that I do not regret the purchase. Pizza is one of the best kinds of food. Through some cruel twist of fate, pizza dough needs to be cooked at insanely hot temperatures if it’s going to resemble pizza. Most brick oven pizzas reach 800 degrees Fahrenheit. Your conventional oven in your kitchen just won’t do the trick. You could buy a pizza stone; a ceramic plate that goes in your oven for cooking pizza. The pizza stone will help you get that authentic pizza taste and texture but nothing beats a dedicated pizza oven. 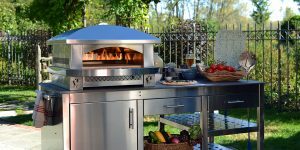 Many people are starting to put pizza ovens in their outdoor kitchens. What better way to liven up a party then to pull a homemade pizza, seemingly out of nowhere, and serve it up? 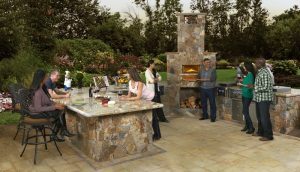 Pizza ovens for outdoor kitchens will integrate into your counters and cabinets just like other appliances. The odd, if not frustrating, thing about outdoor pizza ovens is that their prices range all over the map. You can try your luck with little $100-$200 models like the Pizzacraft PizzaQue, or you can go for the gusto and install an ilFornino Elite Pizza oven for $3400. I haven’t ventured into the home pizza frontier as of yet. I do have a pizza stone though; I’m not even going to try making a pizza at 450 degrees. I may not have my own pizza oven but I’ve owned a small countertop deep fryer for about a decade now. The vaguely ironic part is that I started using my deep fryer more often once I moved it to my back porch. They make deep fryers that install into kitchen counters but I don’t think I would want one in my kitchen. The deep fryer emits a lot of heat and delicious deep fried aroma. This is one appliance that I think works far better when it is in an outdoor kitchen setting. If you want a deep fryer to properly install into one of the runs of your outdoor kitchen you will probably need to spend over $1000. This is a good investment if you want to really enjoy the delicious gift of homemade French fries. If you have only had fries from restaurants or those flash frozen fries that you bake in the oven, then you have never lived. Because of the depth that you need to vertically submerge the dogs, corn dogs are very difficult in a small countertop fryer. If you can afford a built-in fryer next to your sink or grill, I think you will get a lot of good use out of it. As I stated before, much of the grilling culture comes from the south where you would have these large gatherings for these big cookouts and barbecues. Naturally this means a good deal of drinking. From personal experience, I can say with confidence that one of the easiest ways to bring a lively atmosphere to any party is to bring a keg. Something about the nature of free-flowing beer that encourages people to drink. Once inhibitions go away the party shows up. But if you have ever had to deal with a keg before then you know that keeping them cold can be annoying. Even though they sell buckets for kegs they are not really ideal. 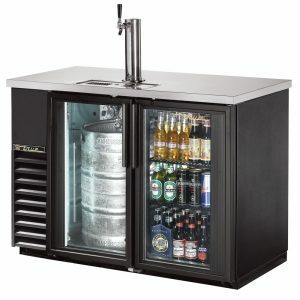 If you have a dedicated mini-fridge with a spigot on the front or top it is not only far more convenient, but it is also a nice conversation piece. People will respect the fact that you have invested in the alcohol side of each of your gatherings. 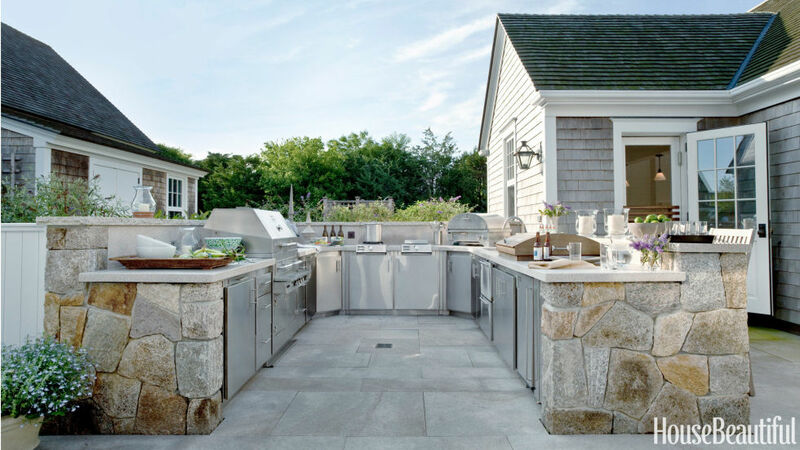 Finally, it is important to remember that your outdoor kitchen will go through a lot of the same steps as your indoor kitchen. You can save money by only getting the essentials; like the items I previously listed. 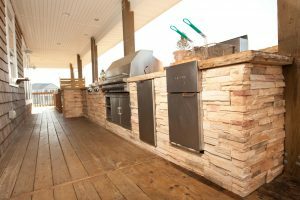 An outdoor kitchen with only a grill, smoker, deep fryer, and kegerator will leave you just as capable of throwing great events and gatherings as a more complete kitchen. However, you will be forced to do a lot of walking in and out of your kitchen. Not only will this be aggravating but it will also track in dirt and let the hot (and/or cold) air into the house. 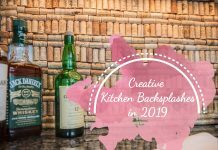 If you have the space and extra money it can be extremely satisfying and helpful to bring some standard kitchen pieces to your outdoor kitchen. A sink would be my first pick since it will allow you to clean dishes and utensils on the spot. An oven or a range could be helpful, especially if you get one with features that you don’t have in your kitchen appliances. A small griddle cook top could make a small oven a welcome addition to your outdoor kitchen. Some people will add microwaves, refrigerators, stovetops, and dishwasher. I don’t see these as necessary but perhaps they will be useful in your outdoor kitchen. 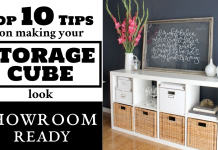 Don’t be too discouraged by the high price of these items. It is expensive to install a normal kitchen so for an outdoor kitchen you should expect a similar range of prices. If you are looking for a low cost option you can try to do something similar to my plan. I have a porch and the smoker grill as well as several other grills that I mentioned before. By arranging a small run of RTA cabinets I will be able to have a nice and professional looking kitchen area on my porch for a lot less than the cost of a traditional outdoor kitchen. Even though the porch is covered, I will be spraying multiple coats of shellac or some other water resistant spray to preserve the wood. Then I plan to arrange my grills and deep fryer around the cabinets in a user friendly layout. 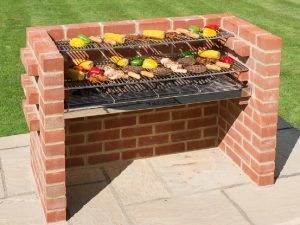 It clearly involves some compromise but if you follow this sort of plan you should be able to create an effective outdoor kitchen for a fraction of the price. 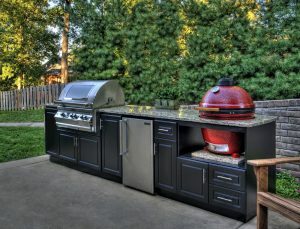 The more you add to your outdoor kitchen the more it becomes like an extra fully functional kitchen in your backyard. To me this is not really what grilling and barbecuing is about because I have always loved the subconscious primal feeling that are stirred as one connects with nature cooking over an open fire pit or grilling over an open flame. The more you make your experience like that of your everyday meals, the less you will achieve that connection with nature. But it would be wrong for me to simply dismiss all of this outdoor kitchen stuff as a fad or trend where people who are afraid to get some ash on their cloths are cooking outside. 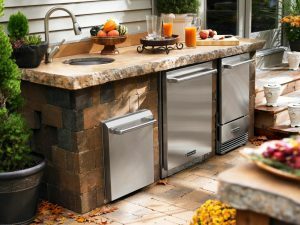 All these advancements in outdoor kitchens are made for our convenience. It is made to allow more people to experience something great. If I am going to be honest with myself, to some small degree, I do the same thing. 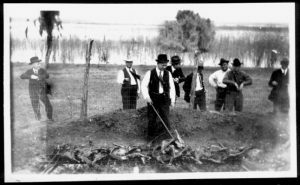 100 years ago people who wanted to barbecue had to burn wood into coals; a relatively time consuming and tedious process. 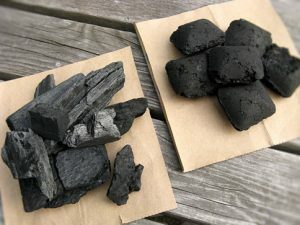 Then in 1919 Henry Ford and Edward G. Kingsford saw what a chemist named Orin Stafford had done with lumps of sawdust and they created the first charcoal briquette factory. This allowed people everywhere to travel with small grills and have proper grilling coals ready in a fast and convenient way. So in some sense it is all about finding that balance between nature and convenience. 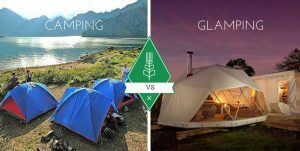 I don’t look down on people who take the “Glamping” approach to grilling and spend thousands of dollars on an outdoor kitchen. Truth-be-told I envy their fancy set-ups. As long as you can find that balance for yourself you can set up your own outdoor kitchen and start grilling meat for you and your friends. The outdoor kitchen may only be on the beginning of its rise. As the proliferation of massive outdoor kitchens becomes more mainstream it will make it increasingly convenient for all people to spend more time and cook more meals outside. Perhaps a decade or two down the line we will see this social space being used to bring people together even more than it did over the last two centuries.